For most of my professional life, I’ve studied the creative habits of highly successful innovators and the organizations they lead. Turns out there’s wide variance in how these individuals achieve greatness. A common trait emerges in how they approach idea generation. Virtually every one of them at some point devised a conscious process to stimulate the input, throughput and output of ideas on a constant basis. They use a series of routines, habits, and techniques to keep their “idea factories” operating at peak performance levels day in and day out. 1. Identify what gets your creative juices flowing. As an innovation speaker and coach, I’m in front of clients and audiences on a weekly basis. I use these occasions to do quick surveys, and whenever possible in-depth interviews to supplement the more quantitative research we also do. 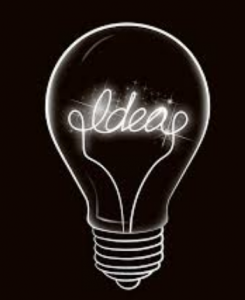 For example: my recent research indicates that the typical manager today needs three to four times as many ideas as did their counterpart a decade ago. Another finding: fifteen to twenty percent of us hatch our best ideas in the middle of the night. For others, taking a shower or driving is another frequent idea-stimulant. Suggestion: If there’s a time of day when you do your best thinking, plan for it. Make it part of your routine. If there’s a particular spot in your home or office that gets your creative juices flowing —be it the kitchen table or the bathtub or an obscure conference room– set aside time to sit quietly in that space, alone and free of noise and distraction.